Fortress Of Freedom Board :: View topic - IAIJ Preparing For Consultative Status App. With U.N.
IAIJ Preparing For Consultative Status App. With U.N.
Posted: Mon Oct 28, 2013 5:22 pm Post subject: IAIJ Preparing For Consultative Status App. With U.N. 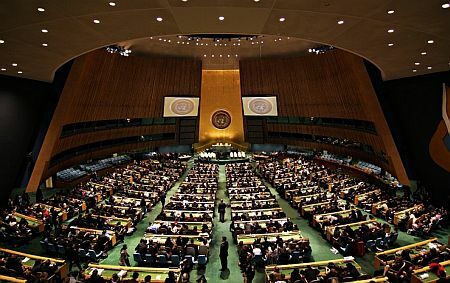 The international Association of Independent Journalists is currently preparing for its application for consultative status with the United Nations (Economic and Social Council (ECOSOC) of the United Nations). 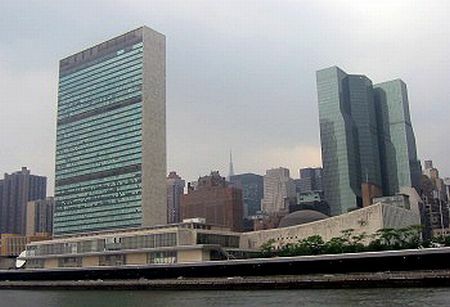 Currently IAIJ is registered as a recognized NGO by the United Nations and is listed as such on their website. A successful application for consultative status would give IAIJ the chance to lobby at the United Nations on matters that are important of the membership of IAIJ. 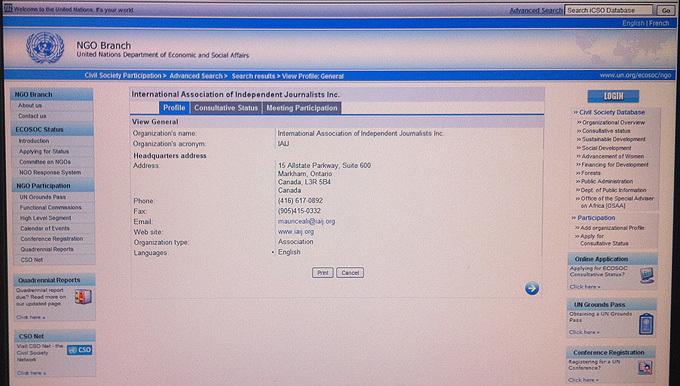 Web capture of IAIJ profile on the U.N. website! If you are a member of IAIJ and would like to comment on the preparations for the application you can email them to info@iaij.org and please include your membership number.